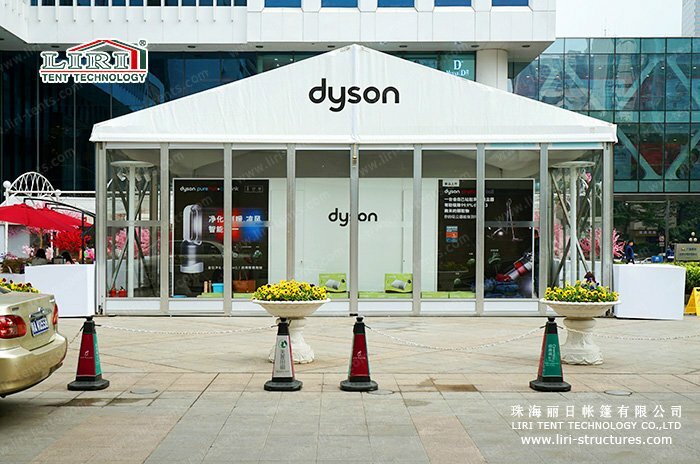 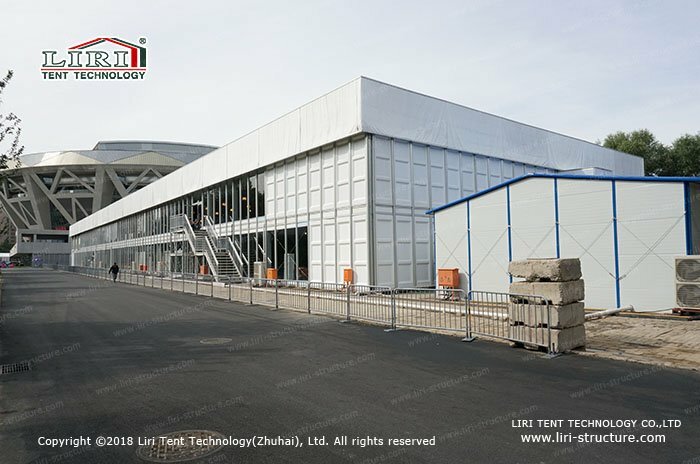 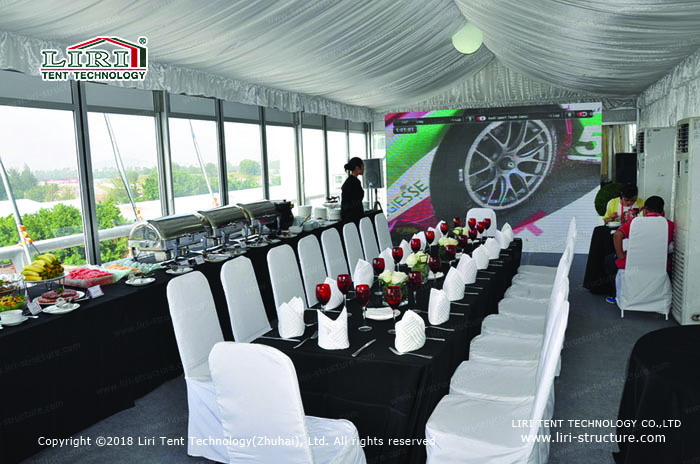 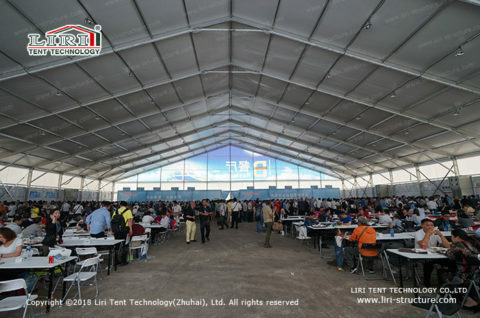 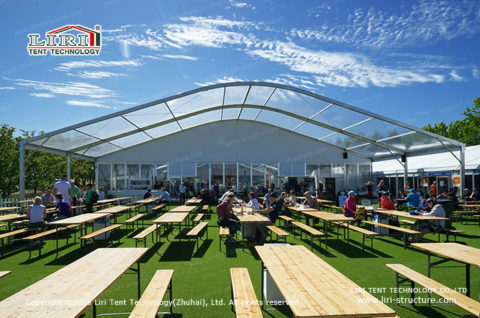 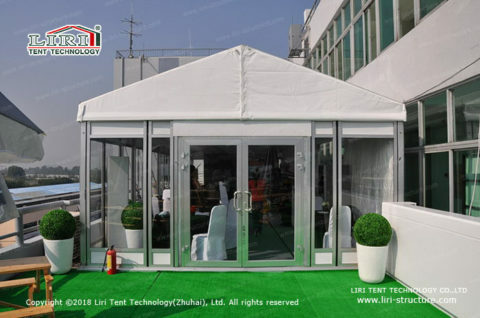 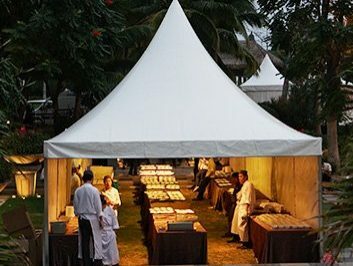 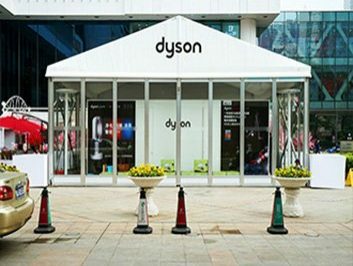 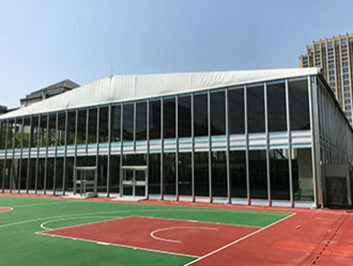 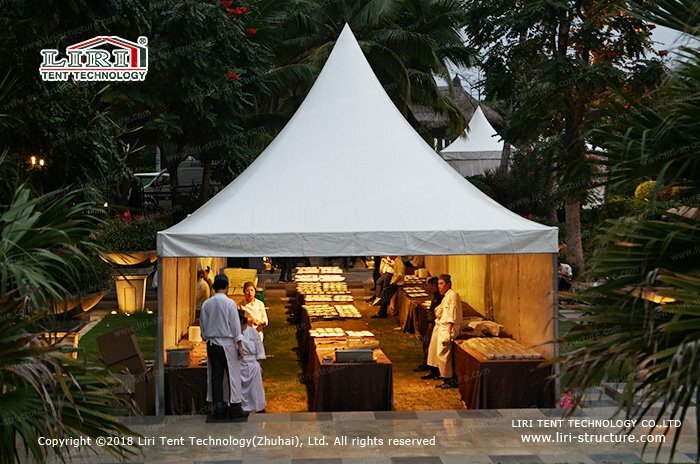 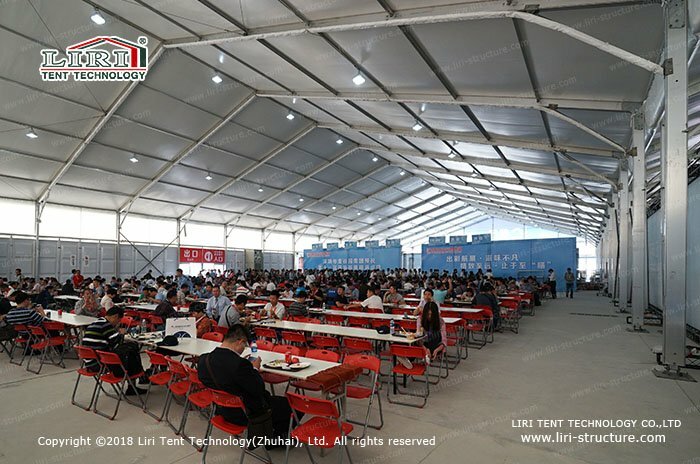 Lunch tents are very popular, with the hard-press extruded aluminum alloy frame to resist strong winds, and PVC fabric materials resistant to the sun and rain. 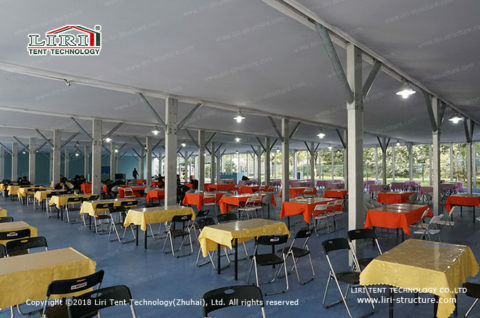 They could provide comfortable dining spaces. 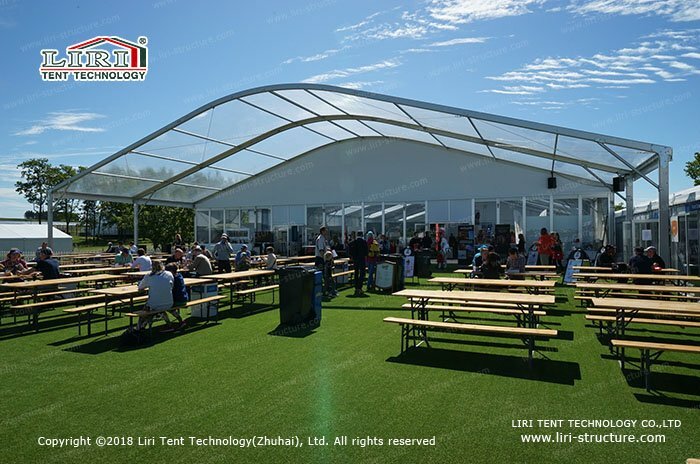 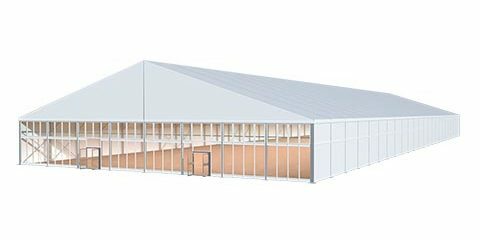 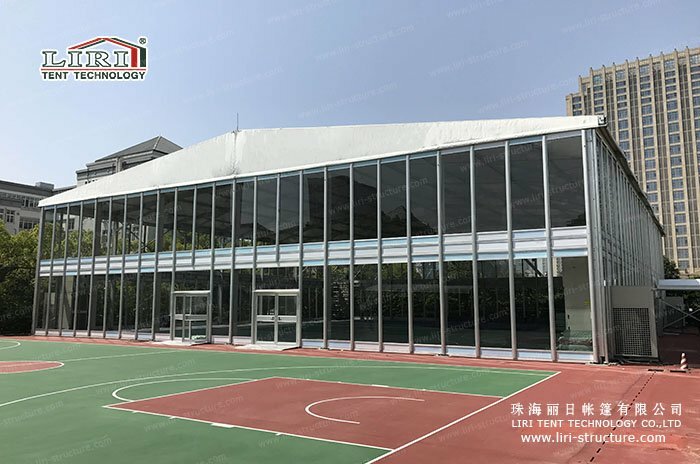 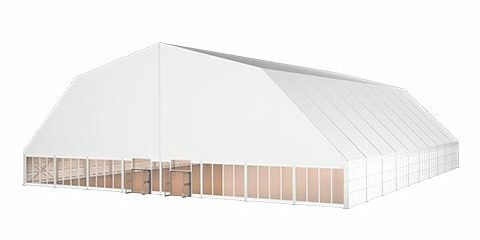 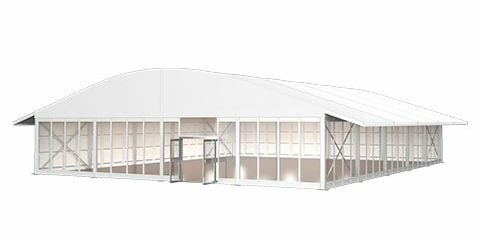 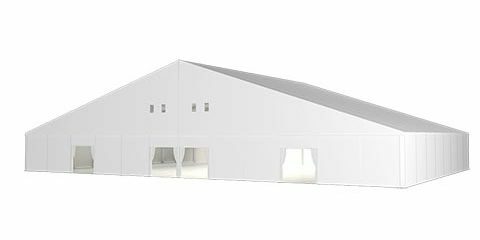 Lunch tents have no support frame to block the inside area, which is convenient for dividing different functional areas such as dining room, storage, kitchen and office to meet all needs. You could also choose the accessories from us, such as tables, chairs, lighting, hard-insulated walls, sing wing door or double wings doors.